Jesus leaves Galilee and goes to Jerusalem for one of the required feasts. He purposely got to Jerusalem in time for the Sabbath. He will perform one of seven miracles done on the Sabbath at the pool of Bethesda. Jesus has a miracle to perform and a lesson to teach. He has saved the nobleman's son from death. Now He will restore an invalid (paralyzed) to wellness and wholeness. The grace and mercy of God through Jesus will be at work. Jesus will illustrate that He is Lord over the Sabbath by doing this act of mercy on the Sabbath. Keep in mind that God had been silent and did no miracles for over 400 years. Now Jesus appears speaking the Word of the Lord and performing miracles. God told Moses that no son of the high priest Aaron who had a defect could come close to presence of God by the veil that separated the Holy Place from the Most Holy Place. They could eat the bread from the table of showbread and eat the priestly portion of the sacrificial animal, but they could not be the one offering it or come near to God in His sanctuary. Physical defects disqualified them from presenting offerings to the Lord on behalf of the people. God wanted them to be whole – free from physical imperfections – in order to serve God fully. God's qualifications that the priests be perfect in body prefigured Jesus, our Great High Priest, who is perfect man both physically and spiritually because He was without sin (imperfection). Our holy Jesus paved the way for us to come before the throne of grace at any time. We are the righteousness of God in Him. Jesus is the reverse of this Law. Jesus includes what the Law excludes. And Jesus wants the lame, blind, paralyzed, deaf and sick to be made whole in Him. Jesus who is God calls the lame, blind, paralyzed, deaf and sick to healing, restoration and wholeness. Jeremiah, Micah and Zephaniah prophesied that a day would come when God would call the blind and lame and make them a remnant who will drive away the enemy. “Among them will be the blind and the lame.” Jeremiah 31:8 (see also Micah 4: 6-7; Zephaniah 3:19; Isaiah 29:18) Jesus is the fulfillment of this. When John the Baptist sent a messenger while he was in prison asking Jesus if He was the one that the Jews had been waiting for – the Messiah – Jesus responded with, “Go back and report to John what you have seen and heard. The blind see, the lame walk, those who have leprosy are cured, the deaf hear, the dead are raised, and the good news is preached to the poor. Blessed is the man who does not fall away on account of me.” Luke 9:22-23 John the Baptist had obviously fallen into some doubt about Jesus being the One for whom the Jews had been awaiting. Jesus told the messenger of John to go back and tell him these things because John the Baptist was a rabbi and teacher of the Law so he would recognize that Jesus is telling him that He is doing the very things that had been prophesied about the Messiah in the Older Testament. Jesus sent John the Baptist back to his own scriptures in the Older Testament that said that Messiah would do these things. Jesus let the Word of God do the work of assuring John the Baptist that He is indeed the One who was fulfilling all of these Older Testament scriptures. Jesus was at a pool near the Sheep Gate when He saw this crippled man who was in need of healing. 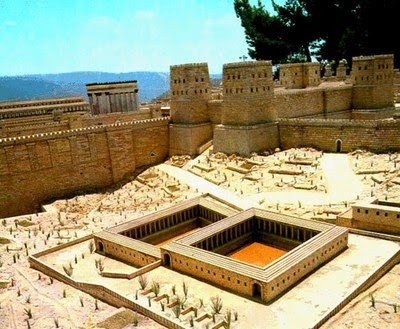 There was a wall of protection and twelve gates around the earthly city of Jerusalem in biblical times. The lambs (sheep) that were to be offered as a sacrifice to God came through this gate. They had to be cleansed, inspected and found without spot or blemish (defect). Nothing defective could be offered to holy God. (see Malachi 1:8) Thankfully, followers of Christ are made holy through the blood of Jesus making us without defect so we can be His living sacrifice in service to Him in spite of our physical condition. When Nehemiah began the rebuilding of the ruined wall of protection around Jerusalem, he began with the Sheep Gate. He also ended at the Sheep Gate. So, the wall around Jerusalem began and ended with the Sheep Gate. It was the first one repaired and the last one dedicated. It was the beginning and the end. In Nehemiah, the high priest Eliashib and his sons the priests restored this Gate. Eliashib means “God restores.” God will restore all nations, tongues and tribes through His Son and Great High Priest, Jesus. This is also a picture of Jesus who said, “I am the Alpha and the Omega, the Beginning and the End.” As the wall of protection around Jerusalem went full circle, Jesus is the full circle of the Word of God and uses the full circle of the Word of God to rebuild and restore those who love and believe in Him. Jesus is the Door through which all must come to the Father. We are His sheep. Jesus said, “Most assuredly I say to you, 'I am the Door of the sheep.” John 10:7 In Judaism, it was an earthly high priest that brought the sacrificial animals through the sheep gate for inspection, cleansing and sacrifice in the Older Testament. The end of this earthly sacrificial lamb was death with no resurrection, but Jesus is the spiritual sacrificial Lamb for the whole world. He has no end. Jesus is the final sacrifice for the atonement of sin. His beginning and end was and is eternal resurrected life. Jesus is telling those listening that He is the Door of the sheep – the Sheep Gate – fulfilling the earthly Sheep Gate. Jesus is our Shepherd, and we are His sheep. We must all enter with our Shepherd through the Sheep Gate. Jesus is the Door we must pass through to enter the Heavenly temple of God. He is the High Priest and the Lamb without spot or blemish who shed His blood as a sacrifice to God for us. Because Jesus is without spot or blemish, those who are “in Him” are also without spot or blemish in the eyes of God. Jesus, God's Great High Priest, and His royal priesthood of believers will be a wall of protection around the spiritual city of our God – the “NEW” spiritual and eternal Jerusalem. (see Revelation 21:9-14) It is the Heavenly Land of God's Promise – the spiritual Israel (those who strive with God) – that is eternal. The building of the spiritual temple of God and the wall of protection around His throne begins and ends with the sacrificed Lamb of God on the cross. As the earthly high priest and priests began the restoration and rebuilding of this earthly sheep gate during the time of Nehemiah and Ezra, Jesus “rebuilds” us – His spiritual temple – beginning in our hearts. He is recreating us back to the original condition of the man and woman in Genesis who were holy when the Godhead made them. Without Jesus we cannot have the spiritual life-giving blood or understand the spiritual water of the Holy Spirit and the Word that makes us spiritual. Bethesda means “house of mercy” and/or “house of great outpouring.” God's grace and mercy will be at work in Bethesda through His Son Jesus. 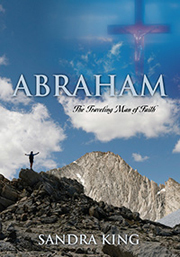 The outpouring of Jesus' love, grace, the Holy Spirit and His Word will heal and help this man to walk uprightly. The pool at Bethesda was fed by a deep spring. This pool was used as a mikvah for the purification of the Jews. A mikvah is a cleansing similar to today's baptism. The water in this pool at Bethesda is from a Divine source since it is a deep spring made and given by God that filled the pool. The Jews believed that this pool at Bethesda had miraculous healing powers. It would make sense that Jesus would heal at this pool. Jesus uses the “natural” to illustrate and teach “spiritual” truth. He is the Divine Source of living, moving water both in the natural and in the spiritual. That living water – the Word and the Holy Spirit – will clean us from all sin. God told Moses that the first high priest, Aaron, and his sons had to be immersed in water before serving in His Sanctuary. At the time of Jesus and the temple, every priest and Jew who wanted to enter the temple had to be washed in the mikvah. Immersing in the mikvah to the Jew is for purification, restoration and new life. In the ritual cleansing in the mikvah, the Jew shows his desire to become one with the Source of Life. You could say that it is a “rebirth” or being born anew. As you can see, this pool was in two parts with three sides each and a common wall in between. Three is the number of the Godhead. Six is the number of man. The seventh wall which was a common wall represents Jesus who binds the two sections together making it a whole pool of cleansing water for the “sheep.” Notice that the one pool is tilted so it will provide water to the second side -- the higher side. The Older Testament points to Christ in the New Testament. The Word of God is one embroidered, perfect and complete work that reveals Jesus and God's plan of redemption. This pool represents the work of Jesus and the cleansing water of the Holy Spirit and Word. The Older Testament and the New Testament come together in Christ – the common wall. Both testaments are all about Jesus, so they feed off of one another. The Older Testament points to Christ who passed through the center of both testaments drawing them together as one by His blood and fulfillment. There were five colonnades, also referred to as porches, surrounding the pool that acted as a covering from the storms or intense heat. Five is the number of grace. At Bethesda, God's mercy and grace in Jesus Christ is at work. Jesus, God's grace and truth, protects us from the storms of life and the intense heat of our enemy who spiritually paralyzes us through fear, unbelief, weakness, our flesh, etc. These lame, sick, blind, deaf and paralyzed people were helpless to get themselves out of their situation so they could be healed. They were under a covering (the Law) but they had to depend upon themselves or others to get them into the pool when the healing waters were stirred. The Law also depended upon the actions of man to carry out its requirements, but under the “new” covenant in Christ, man must depend solely upon Jesus who did the work that man could not do. Without Jesus and the power of His Holy Spirit, we are helpless and powerless over our circumstances and the wiles of our spiritual enemy. that the water would bubble up – moving the water. Keep in mind that moving water to the Jew is considered “living water.” This moving of the water was attributed to an angel. Whether it was an angel or just nature that caused the water to move is not known. The blind, lame and paralyzed believed that the water in this pool had miraculous power. The paralyzed, blind, lame and sick gathered around this pool and lay there waiting for the water to move so they could be healed. These believed that when the water moved, the first person into the water would be supernaturally healed. So they had a measure of faith and hope but they had to depend upon help from man to receive their healing. Only one would be healed so their chances of healing were slim and none! Jesus is about to show this crowd that it is having faith in Him and His powerful Word and Spirit that will heal the lame, sick, paralyzed, blind and deaf. God may have sent an angel to stir up the water, but now He sent His Son to the same pool to show that Jesus is the Healer and His living water of the Holy Spirit is the Helper in time of need. Isaiah had prophesied that the Lord would open the eyes of the blind, unstop the ears of the deaf and the lame would leap like a deer when God redeemed His people. (see Isaiah 35:5-6) God's Redeemer is at the pool of healing ready to make a lame man walk. Jesus is the deep fountain of living water. He stirs up the spiritual gifts an our spirit within us to empower and encourage us to move forward with Him to maturity and do greater works for His Kingdom. Keep in mind that Jesus came to this man, not the opposite. Jesus saw one of the lost sheep of Israel in dire need just as He saw the dire need of the Samaritan woman at the well. Jesus says, “You did not choose Me; I chose you.” Jesus is the One who does the seeking and saving of the lost and the broken so none of us can boast or take credit for any of it. Why did Jesus choose this particular man out of all of the others? Perhaps this invalid man was in the gravest condition and had the greatest need. He would probably be the last one to be able to get to the water. Jesus will make the last one first! No one is beyond the reach of Jesus. Healing the gravest and most needy of those gathered around the pool would make the greatest impact and give the others hope in Jesus.